The Cincinnati Kinderballet is the performance jewel of the Anneliese von Oettingen School of Ballet– Cincinnati’s oldest Ballet organization, founded in 1948. 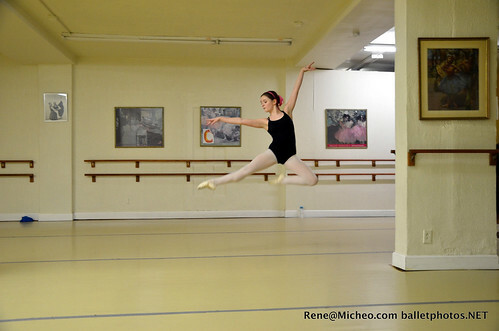 The Kinderballet is comprised of 12 to 20 students aged 6 through young adult. They are talented and vibrant, bringing a special inspiration to adult and child alike. Children enjoy seeing performers closer to their age with whom they can identify. Adults enjoy the high levels of technical accomplishment and youthful zeal Kinderballet provides. Art within reach… Ballet within reach! When hosting a Kinderballet Production, you are partnering with a non-for-profit organization to bring the Art of Ballet to your community. We are a community outreach for the Arts. From formal theater settings like the Historic Hoosier Theater in Vevay to informal spaces like the lobby of the Ronald McDonald House; from outdoor spaces like The Village Green Amphitheatre to indoor libraries of various sizes; we can perform in any venue because we arrive with our own performance flooring, sound system, sets, and costumes to create a magical backstage and on-stage experience. The Cincinnati Kinderballet offers two performance formats. Our semi-annual productions are offered in December and May. December Holiday productions typically are The Nutcracker, but past seasons have included other traditional stories like The Little Match Girl, The Velveteen Rabbit, and The Tailor of Gloucester. 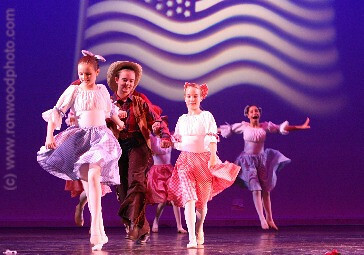 Our Spring Productions include both traditional ballet inspirations and original ballet stories like Sleeping Beauty, Peter Pan, Tales of Beatrix Potter, and Pinocchio. Productions are 45 minutes to an hour in length or can be shortened to each venue’s specific needs. Our Storytelling Workshops are offered year round and are specifically created to our venue’s requests. These offer children from the audience the chance to join our dancers on stage in creative movement improvisations based on well known beloved children’s stories. These audience participation opportunities are often combined with our regular semi-annual productions for the best of both worlds. Other options include “meet and greet” opportunities like character parades and character breakfasts. Pricing varies by program length and other considerations. We are constantly partnering with our sponsors to find alternate ways of covering our costs. Our goal is ART within reach and we work hard to make it happen within any budget. Please contact Laura Taphorn for pricing and program availability. Our spring 2019 production will be Cinderella. We are happy to tell you more about our organization. Our website www.avoballet.org has some videos of past productions. Additionally members of our dedicated board are happy to meet with you on site to discuss ideas for available spacing for performances and other ideas to make our collaboration a success.